This mod is intended for use on modded servers to help prevent server overload due to overflowing farms. It will remove items on the ground if a configured Threshold is met! - Checks items on the ground and sends players a warning when it hits a specified number. - Removes items on the ground after specified maximum number is hit. - New in 1.1!! Enable or disable a blacklist, and add specific items to it to control what items are removed when the threshold is hit. Please make sure your players are aware of this mod. They need to be extra careful not to break an inventory containing more items than you set your threshold. They will lose them if they don't pick them back up fast enough! I can't find the config file :(. Is there one ? How can we make the mod settings please ? Yes, there is a configuration file at /config/Threshold.cfg . If the mod is on the server, that will automatically be generated when you launch the server. Thank you for your answer. I don't understand why but the mod doesn't generate a config file (single player/local or multiplayer/ftp). Maybe a conflict with 1+ of my other mods. I will make some additional tests. Is the source for this available? I'd like to review how it works before I plug it in on our server(s). Sure, I'll put up the source when I finish this update. Source is available. Update waiting for approval. Rather than deleting them instantly, could the mod decrease the amount of time it takes for items to despawn? 2 minutes is probably enough for most cases as long as you have a gravestone mod installed. Outright deleting items makes a lot of automation impossible. Quite a few Botania features would be impossible, items dropped by Buildcraft quarries would vanish before being collected, etc. I see what you’re saying but the intent is to delete them after, say, 25k or 50k items are on the ground. That amount is configurable, as well as a few other aspects such as how long a player has to go pick up items on the ground before they are deleted. Your suggestion, in my opinion, would be great in another mod. I just don’t think it falls in line with the scope of this one. 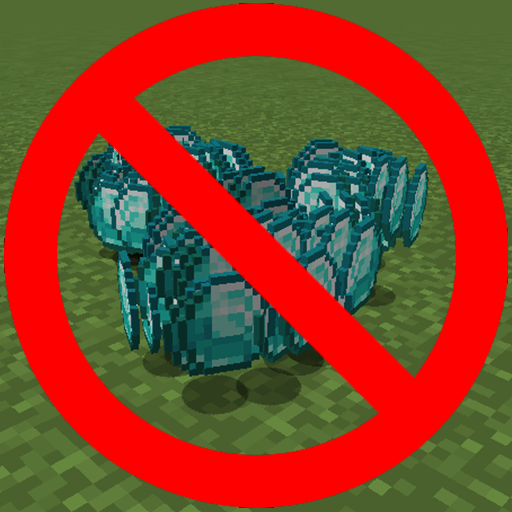 The specific reason I wrote this mod, is that a community I moderate in has issues with server crashes and constantly low tps cause the server has upwards of 50k entities loaded at a time due to overflowing farms. If other’s benefit as well then that is awesome!